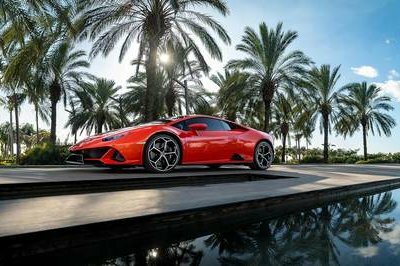 Canada’s newest, or only, supercar is making its way to the production line and attempting to ruffle the feathers of the big three and smaller sports car manufacturers here in North America and abroad. The De Macross GT1 is a newly developed supercar designed by the founder of the company, Jahong Hur, and proves that if someone wants something bad enough; it’s always possible. It’s no secret that designing your own car and getting it to market is difficult – having that car be a formidable competitor to the most extreme machines on the planet is darn near impossible. Some American companies have managed to do this throughout our racing history and recent past. Two of the biggest names would be Shelby and Saleen. The Shelby race cars of yesterday were so dominant that the great Enzo Ferrari did not even have an answer for them. Shelby went on to design more road going versions of his vehicles and today they are admired by collectors. 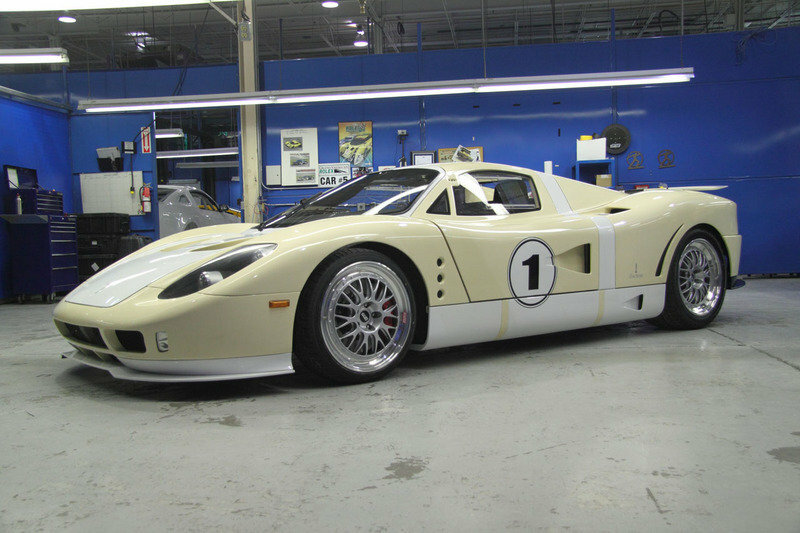 The Saleen S7 showed us that a small shop with a lot of knowledge and money can create the ultimate supercar. 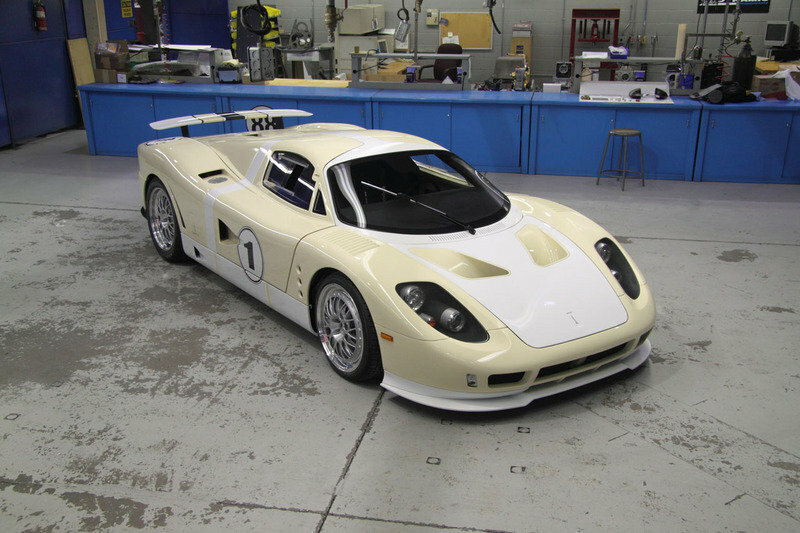 By incorporating some of F1’s best technology and using an American V8, these Canadians were able to develop and are now producing the GT1. Its performance is not off the charts, but it’s most likely faster than anything we’ve ever owned. Hit the jump for more details on the De Macross GT1. When reading through the press release from this company, it is easy to see that the founder and designer of it really thought his design was profound and ground breaking. We wouldn’t dispute that some of the technology and working parts used in this car are highly evolved new ideas for road-going vehicles, but the exterior design is not. When we first saw a picture of this new car, we thought it was something more akin to a FactoryFive kit car of the Ford GT40. Those are cool because they are trying to look as close to the original as possible, but isn’t this supposed to be new? Some parts of the design do differ from the Ford GT, but they still seem “borrowed” from other cars in racing’s past. The doors are a gullwing action setup which is always cool, but also always borrowed from Mercedes-Benz. The rear end sports a very square shape with horizontal black slats much like a Ferrari Testarossa. Now maybe we are being a little too harsh by calling this car a copy of other designers hard work, so let’s take a look at what’s distinct about the GT1 – certainly not the name. The car’s interior is different from anything else because of the bare bones feel. It has nothing in the way of carpets, leather, creature comforts, or sound deadening. The exposed aluminum and carbon fiber monocoque tub is seen from every angle and lets the driver know that he is strapped into a serious machine. 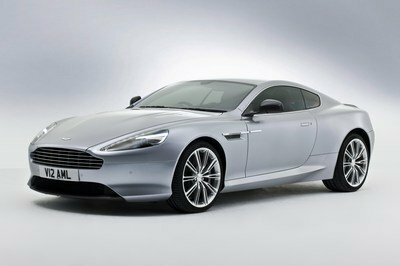 Combining the lightweight body and huge engine in this car is sure to produce a soundtrack all its own as well. 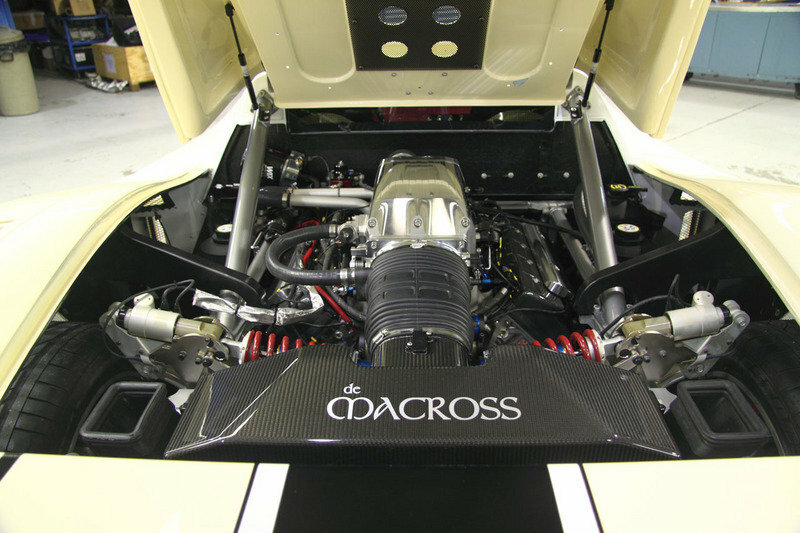 The heart of the De Macross is its Roush Yates V8 that displaces 5.4-liters and includes a supercharger. It’s capable of delivering over 800hp and 700 lb-ft of torque to the rear wheels. Most V12 engines don’t even muster that much power and this V8 is sure to be a kick in the pants. It’s mated to a standard 6-speed manual transmission that will feed the rear tires and probably burn rubber all the way through second gear. With its lightweight body, the GT1 is said to make it from 0-60mph in 3.4 seconds and through a standing quarter mile in 11.5 seconds. De Macross employed the help of Multimatic to help them incorporate F1 technology into their new car. The aluminum monocoque tub that houses the interior of the car was designed and fabricated by Multimatic and they also helped to connect the front and rear substructures for the suspension and engine. The company was also able to get the car safe enough to pass global safety standards of FMVSS and EEC. The suspension system comes directly from F1 and uses a Dynamic Suspensions Spool Valve (DSSV) dampers. These can be independently adjusted via an inboard push-rod. By changing the spring damper and rocker motion ratio the vehicle is able to change ride height and increase the effective spring rate. This adds to the car being able to handle at high speeds, especially over 200mph. De Macross will also introduce what they are calling an industry first, a hydraulic anti-roll device on the GT1. The GT1’s pricing and availability have yet to be released, but expect a number well north of $100,000. Production will be highly limited due to the size and production capability of the company. De Macross states, “The overall on-road performance of the De Macross GT1 will rival any and all of the “supercars” built since the term was coined.” That’s a pretty lofty statement considering some of the vehicles to wear that nametag. We would love to see the DeMacross up against a McLaren F1 and laugh as the McLaren dusts 60mph in 3.2 seconds and then tell the Canadians that it was built in the 1990s. Since we do not know the price of this new car, maybe we should lower our price tag comparison to something like a Corvette ZR1. For less money than any other supercar, the ZR1 will snap the quarter mile in 11.2 seconds. So can the GT1 really deliver on its promises? We’ll see once it hits the streets for real. I was really impressed with this one. It is very unique and I really like its color, which looks like a milky, what I really mean is that I like milky colors. I bet, this would be an expensive as it looks. The looks might be that of older supercars, but the performance is what matters the most here. I wonder if how they say that its interior is unique? Anyway, I love the angst of it, but it looks like a Porsche sports vehicle because on its platform and with its other detailing. They made it very customized and fully equipped. Nice configuration, and engine specification, and the paint and color used very significant. I wonder why De Macross is the only supercar manufacturer in Canada, though they are a big state. 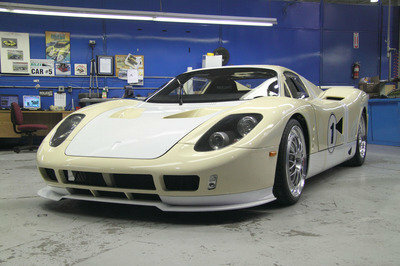 Hopefully, this GT1 of Canada can compete with Shelby and Ferrari. Back to the car, I would agree that the speed is really great, and the design looks good. One thing that I noticed about this one is that it has a bit of the Lamborghini Gallardo and the Ferrari F50 in it. But that is really not that surprising since these supercars tend to look like each other. Say what you have to say about the GT1, but I am definitely still loving this car. Sure, it does fail in comparison with the latest supercar models, but that can still be forgiven, because this is just their first try. I must admit that I haven’t heard of De Macross yet (I even confused the name with that of a Japanese cartoon series). But looking at these pics, I can honestly say that their car looks promising. Well, I am still keeping my cards up for the GT1. The looks might be that of older supercars, but the performance is what matters the most here. 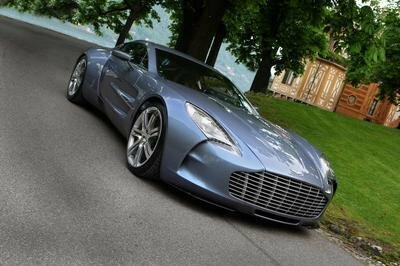 Who knows, this one might actually be a dark horse in the world of supercars. Lets just wait and see how this would actually fare in runs. At first look this car looks so ridiculous. Is this a race car? GT1 right? It’s better if they convert this one into a race car. Just ad more sticker and i think it will look much better and besides race car are not meant to be beautiful, its the speed that matters! 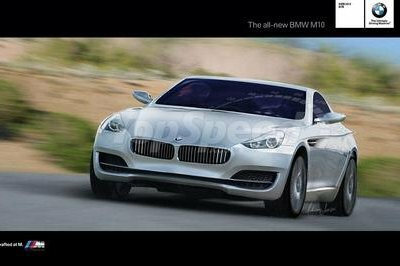 Yeah, the design of this one looks a bit similar to previous generation supercars. But then again, there might be a lot of surprises from the GT1 once it hits the road. Not the only Canadian supercar. Please refer to the Locus Plethore out of Quebec Canada.